Governor’s claim that Illinois has turned the corner not borne out by the facts. Governor Pat Quinn delivered his annual State of the State Address Wednesday before a joint session of the Illinois General Assembly. 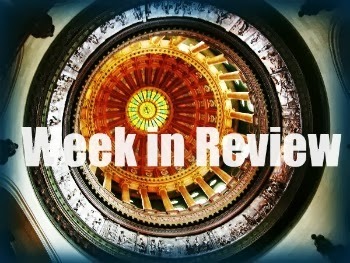 Quinn painted a rosy picture of Illinois’ fiscal and jobs outlook, claiming the state has turned the corner. Unfortunately, the Governor’s rhetoric doesn’t match reality. Illinois has 110,000 fewer jobs than when Pat Quinn became governor. The labor force has contracted and the state’s jobless rate is nearly two points higher than the national average, even with a smaller workforce. Illinois ranks dead last among all states in projected job growth for 2014. Illinois has the 2nd largest outward migration numbers of any state in the nation, clearly indicating that people are leaving for greener pastures. The State’s fiscal outlook isn’t much better. Governor Quinn cited $11.5 billion in unpaid bills in his 2010 State of the State speech. Quinn and his Democrat allies raised taxes 67% in 2011 - taking an additional $7 billion to $8 billion per year away from hardworking taxpayers - yet Illinois still has $6.4 billion in unpaid bills and $127 billion in long-term debt. The Democrats’ tax increase will cost Illinois taxpayers nearly $26 billion – yet the State’s bill backlog has only been paid down approximately $5 billion. House Republicans believe the State must fundamentally change its jobs and tax policies to truly turn the corner and get Illinois working again. For more on the House GOP response, please visit The Caucus Blog. Governor Quinn declares “propane emergency.” Bitterly cold conditions in the winter of 2014 have drawn down available inventories of propane, a liquefied petroleum (LP) gas widely used by Downstate Illinois residents for heating and agricultural purposes. The “polar vortexes” of January 2014 followed a successful field corn harvest in October 2013, which led to strong demands by farmers for propane used to heat and dry their crops for sale. The Governor’s declaration, made on Monday, January 27, lifts certain legal restrictions on propane truck pickups and deliveries. This move will enable more of the limited U.S. supply of propane to be sold and trucked from other states to Illinois. House Republicans urge swift action to alleviate crisis. Families throughout Illinois are struggling with the soaring demand and high prices for propane to heat their homes. In response to this crisis, House Republicans, led by Rep. David Reis (R-Ste. Marie), sent letters Tuesday to Governor Quinn and Attorney General Madigan urging swift action to help alleviate the crisis. They asked the Attorney General to use the powers of her office to protect consumers from price gouging and unscrupulous business practices. Allocate additional emergency funds for the Low Income Home Energy Assistance Program (LIHEAP) to assist Illinoisans in paying their propane or other heating bills. Provide emergency low-interest loans/temporary lines of credit to propane distributors/suppliers to ensure they will have the resources necessary to purchase additional propane to alleviate shortages. Work with the General Assembly to pass a temporary suspension of the state sales tax on LP/propane in order to provide some relief to families struggling to heat their homes. Urge the federal government to create a strategic reserve of LP/propane and moderate exports of the fuel while supplies remain critically low. Governor & Attorney General respond to HGOP request with additional relief for consumers. On Friday, January 31, Governor Quinn announced a series of steps to provide additional relief for consumers during the ongoing propane emergency. The actions, effective immediately, provide additional financial assistance to help families pay increased heating costs this winter, and address certain inspections which could slow down the delivery of propane to consumers. The Governor also encouraged Illinois residents to report any suspected price gouging and fraud that occur during this emergency to Attorney General Lisa Madigan. The Illinois Department of Commerce and Economic Opportunity (DCEO) will offer an increase of $1,000 to each Low Income Home Energy Assistance Program (LIHEAP) eligible household for the purchase of propane to ensure uninterrupted delivery during this emergency. Over the next several days, DCEO will automatically credit the $1,000 increased benefit to the accounts of existing LIHEAP customers. The increased benefit will also be available to all new eligible applicants that sign up for LIHEAP. DCEO will also temporarily waive the $75 Good Faith Effort fee for LIHEAP applicants using propane to heat their homes. The Illinois Department of Agriculture’s Weights and Measures Bureau will not perform meter inspections on propane trucks during the ongoing emergency. This will allow these vehicles to more quickly deliver this vital heating fuel to those who need it. The inspections will resume when the emergency is over. Attorney General Madigan, working with other Attorneys General in states where propane prices recently spiked, has undertaken a review of propane supply and pricing issues to assess if any violations of state law have occurred. The Attorney General’s office is also investigating several consumer complaints filed with her office. Attorney General Madigan encourages consumers with complaints regarding propane to call her Consumer Fraud Hotline at 1-800-243-0618 or email the Consumer Fraud Bureau at AG_Consumer@atg.state.il.us. House committee members to hear State FY15 revenue estimates. A key hearing, which will help shape the FY15 budget, will be held in Springfield on Tuesday, February 4. Members of the House Revenue and State Government committees will meet in joint session to hear key State budget officers unveil their projections for Illinois economic activity, tax payments, and general funds revenues in the fiscal year to begin July 1, 2014. 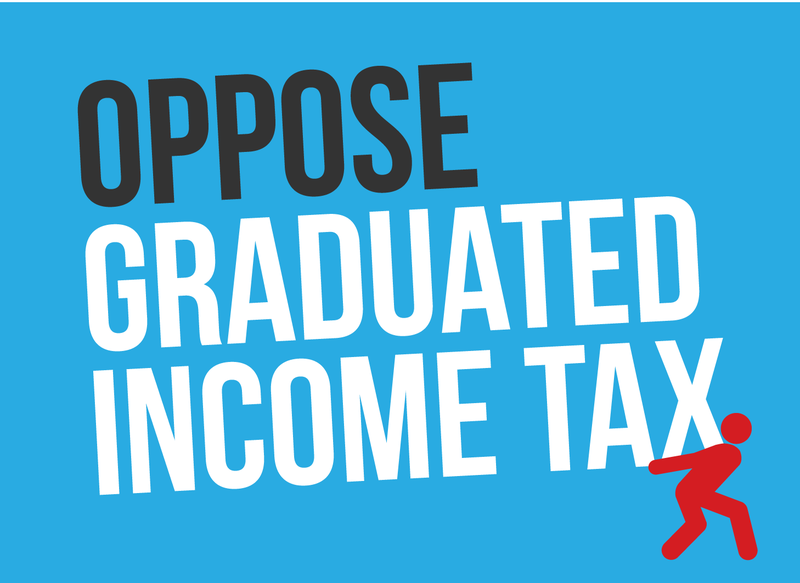 The hearing may add hard numbers to the concerns already expressed by outside observers that Illinois’ subpar economic performance and recovery from the 2008-13 economic downturn will continue to lead to disappointing rates of job creation, wage growth, and individual income tax payments. At 5.0%, the record Illinois individual income tax rate and revenues it generates have become a decisive element of the Illinois budget. In addition, this tax rate is scheduled to drop to 3.75% on January 1, 2015, and this phase-down of the “temporary” tax rate enacted in 2011 by a lame-duck General Assembly will have a significant impact on projected revenues in the second half of FY15. Unfunded public-sector pension liabilities equal $18,596 per Chicago resident. The reform of unfunded Chicago-area public sector pension funds is expected to be a key issue in the spring 2014 General Assembly session, with reform advocates pointing to increasing signs that the current systems are being asked to generate an unsustainable load of future benefits. The phrase “unfunded pension liabilities” means the gap between what a fully-funded pension plan actually has, and what it would have if, run in an actuarially sound manner, it possessed sufficient resources to make prudent investments and generate the monies necessary to pay the benefits expected to be paid out. The survey by nonpartisan investment advising firm Morningstar divided the total public-sector pension debt borne by Chicago taxpayers by the 2.7 million residents of Chicago. Not all Chicago residents are taxpayers, so the $18,596 number listed above could be adjusted to generate a larger number representing unfunded tax liabilities per taxpayer. State pension liabilities, Cook County pension liabilities, and Chicago Board of Education pension liabilities are included in the consolidated figure. Motorola Mobility, employer of 2,000 engineering-related jobs in Chicago area, sold to Lenovo. The firm, a successor of longtime electronics manufacturer Motorola, specialized in cellphones, handsets, and other communications technology. Motorola Mobility, which was spun off from its former parent company in January 2011, entered the hands of California-based search engine firm Google in August 2011. Google then announced the sale of Motorola Mobility to the Chinese electronics manufacturer Lenovo in January 2014. News of the sale left the fate of up to 2,000 Chicago-area Motorola Mobility jobs uncertain. The longtime north suburban firm, which had been in the process of moving its headquarters and research/development operations to Chicago’s Merchandise Mart, had been tagged as an “anchor” for Chicago’s future in high-technology solutions. Motorola Mobility had been granted extensive tax incentives by the State of Illinois as a reward for creating and maintaining high-tech Illinois jobs. Illinois unemployment at 8.6%. Illinois’ jobless rate remained among the highest among the 50 states in December 2013, according to new numbers released on Friday, January 24 by the Illinois Department of Employment Security (IDES). The IDES figures, based upon continuous sampling of new hires and unemployment insurance claims, pegged the Land of Lincoln’s unemployment rate at 8.6%. This was a statistically insignificant decline from the 8.7% rate posted for November 2013, and was nearly two points higher than the national unemployment rate of 6.7%. Illinois lost a net 3,200 jobs in December 2013, with the largest downturn coming in the troubled construction sector. New law will save full horse racing calendars for summer 2014. Live thoroughbred and harness-horse racing at Illinois’ five operating racetracks (Arlington Park, Balmoral, Fairmount Park, Hawthorne, and Maywood) had been imperiled by the pending expiration of advance deposit wagering (ADW), which allows approved horse racing fans to place bets electronically from home. The taxes and fees levied on ADW racing bets help support the operations of the Illinois Racing Board, the panel that oversees the probity of Illinois live horse racing. Blood and urine tests on race horses, for example, are carried out by Board employees and contractors; these tests ensure that the horses are not racing under the influence of banned chemical substances. The pending expiration of ADW would have prevented these tests and other essential inspection duties from being performed. The Illinois Racing Board developed contingency plans in this eventuality. Aware of this challenge, members of both parties in the Illinois House participated in meetings to bring together representatives of all facets of the horse-agricultural and horse racing industries. HB 11 contained language satisfactory to all sides that extends the legal life of advanced deposit wagering in Illinois for three years, until February 1, 2017. ADW proceeds, and other monies from horse racing itself, were targeted to balance the various horse racing budgets threatened by the current state of the industry. None of the monies necessary to ensure a full racing calendar were diverted from Illinois general funds. HB 11 was passed and signed into law on Wednesday, January 29 as Public Act 98-624. The House vote was 95-10-1. House Labor & Commerce Committee schedules hearing on Illinois’ minimum wage. At $8.25 an hour, Illinois’ minimum wage currently ranks as the fourth-highest in the nation. Every state that borders Illinois has a lower minimum wage, putting Illinois at a competitive disadvantage. The federal minimum wage rate of $7.25 an hour is enforced as the law in all 31 states that have not enacted a state minimum wage rate that is higher than the federal minimum. 19 states, including Illinois, have enacted independent minimum wage rates. The hearing will take place on Wednesday, February 5, when the Committee will hear from proponents and opponents of a further increase in Illinois’ minimum wage rate. Opening of new runway leads to soaring noise complaints from neighbors. The busiest airport in the Midwest has recently expanded its footprint and constructed a new runway for heavy passenger and freight-carrying jet airplanes, Runway 10C-28C. The significant use of this runway, particularly by freight-carrying aircraft during non-passenger operating hours, has coincided with a sharp increase in noise complaints from residents of the suburbs and city of Chicago neighborhoods that surround the airport and live under the flight path of its new runway. Runway 10C-28C opened for operations on October 17, 2013. Persons with concerns about this airport expansion may wish to contact the O’Hare Noise Commission, an intergovernmental consortium that tries to alleviate noise concerns. Small amounts of funds from aircraft takeoff/landing fees are available to help property owners install sound insulation, and meet other urgent noise-abatement needs. Final days to apply for tornado relief. The deadline for eligible Illinois property owners and occupants to apply for federal relief as a result of damage sustained in the November 17, 2013 tornado outbreak across Illinois has been extended to Monday, February 3. Applications requested after this extended deadline are not expected to be granted. The State has already requested and received one extension of the application deadline. The severe November 2013 tornado outbreak led to the deaths of eight people and caused millions of dollars in property damage. Property owners and occupants in fifteen counties declared to be disaster areas are eligible to submit applications. The counties are Champaign, Douglas, Fayette, Grundy, Jasper, LaSalle, Massac, Pope, Tazewell, Vermilion, Wabash, Washington, Wayne, Will, and Woodford. Registration for disaster aid can be completed online at www.disasterasstance.gov or www.fema.gov. 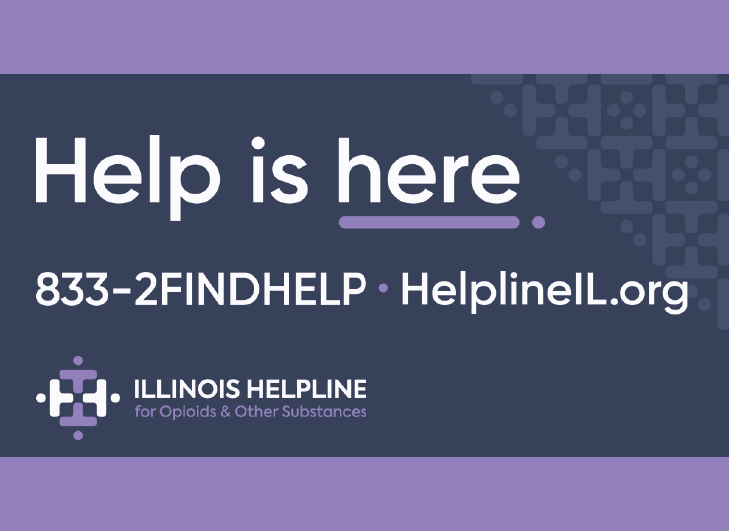 Inquiries can be made by phone at 800-621-3362 (TTY 800-462-7585).